The most effective way of learning for me was just failing over and over again. Being in a place where you don’t know anything and where you have to force yourself to learn. 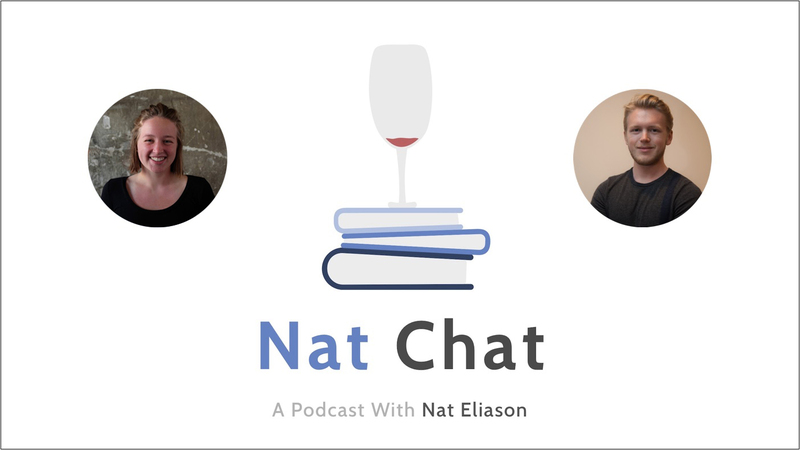 In this episode of Nat Chat, I’m joined by Bekah Lundy. Bekah started off as a student of The University of Minnesota, where after a year, she started to get into web development and realized normal college just wasn’t for her. She left and went through a coding boot camp called Turing. Seven months later, she started working as a developer for a start-up called Apto in Boulder, Colorado. Bekah’s story is a great example for those who are wanting to leave a traditional career route to pursue things that they’re actually passionate about. And much more. Please enjoy, and reach out to Bekah on Twitter! If you enjoyed our discussion on learning, self-education, and leaving college, be sure to check out my episode with Zak Slayback, and my episode with Connor Grooms. If you want to learn more about coding, check out my episode with Max Friedman, and my episode with Darwish Gani, where we discuss coding in detail and much more. 1:29 – Introduction to Bekah, what she does, and where she works. 2:36 – Bekah’s story on leaving college and becoming a 19-year-old Full Stack engineer. 8:50 – How Bekah found the confidence to take the leap, leave college, and go to Turing, a coding boot camp, instead. 11:17 – Some discussion on the option of temporarily dropping out, and maybe returning later. Also, how important and useful temporarily dropping out can be. Some information on the flaws of college learning, as well. 15:28 – What Bekah’s project-based learning and education looked like at Turing. 19:19 – Bekah’s experience with learning to be comfortable with failing over and over again, as well as self-education. 21:57 – Techniques that Bekah learned from Turing that helped her with learning to be comfortable with failing quickly. Also, how people could incorporate these techniques without an organization teaching them. 24:22 – Bekah’s experience with learning on her own and doing side projects before she went to Turing. 25:07 – Some major resources that helped Bekah with learning to code and program. 25:56 – What the application process is like for Turing. 29:02 – The other boot camps that Bekah looked at before deciding upon Turing and the factors that mattered the most to her when deciding. 31:02 – What the tuition is like for Turing and some information on scholarship programs. 32:05 – What the hiring process looked like after completing Turing. 34:47 – Bekah’s thoughts on what she’d do if money were no longer a concern for her. 35:38 – What Bekah does in her free time to keep her coding skills sharp and updated. 36:19 – Some last thoughts on leaving college, learning to code, and going against the traditional route. 36:58 – Wrap-up and where to find Bekah online. So many students don’t realize that it’s an option to do this soft drop-out, go try something else and if it doesn’t work out, you can always come back.